There's nothing worse when you find yourself in a tight spot when it comes to money. We all have the best laid plans and try to save for the future and a rainy day however sometimes something happens and you need cash fast. It could be anything from a broken washing machine, been there, a new tyre for the car, school uniform for the kids. Everything costs money and it all adds up. 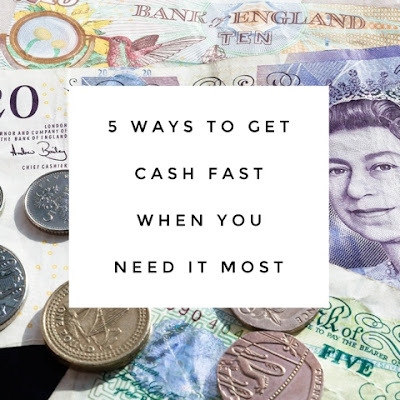 That's why I've put together some simple ideas on how to get cash fast when you need it most. We all have lots of stuff dotted around the house which we don't use and could probably sell for a pretty penny. Have a rummage around, gather all the items you don't need which are in good condition and take some photos of them so you can then put them up on selling sites. 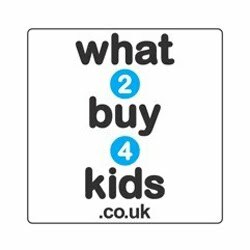 There's loads to choose these days from eBay and Gumtree to local Facebook selling pages which are very handy. Not always an option for everyone and it's not bloody easy to do but if you have family and friends around that could help you out in the short term then it may be best asking them. Maybe you've got a skill which you could do in return for the pennies as well instead of paying it back. It could be something as simple as washing their car for a wee while, odd jobs around the house or garden they can't do themselves and it might work out quite well for both parties. There's some really good credit card deals out there at the moment with both Tesco and Sainsburys doing some amazing offers on 0% purchases for long periods of time. Now credit cards aren't for everyone and they don't automatically give you a licence to spend willy nilly but they do come in handy when in a tight spot. You just need to remember that it's not your money, you have to pay it all back and to only use them for the emergency at present. Depending on the amount of cash you need and how quickly a simple loan might be your best option. Most lenders have easy to use websites such as Cash Lady and offer affordable repayment options so you don't have to worry about things spiraling out of control. More of a long term fix but something that's definitely worth considering is renting a room in your house and taking on a lodger. If you have the extra space and need the extra cash then this could well be an option for you. There's loads of websites advertising their services to help you find a lodger so why not have a quick search and see what all the fuss is about. You could get up to £7,500 per year! 8 comments on "5 Ways to Get Cash Fast When You Need it Most"
That's a great idea Gee. Recently I've been giving a lot of stuff away as I'm too busy to sell but I really should be as it's lovely stuff. loans and credit cards are a big no no in my world, the best way to save money is to think when shopping, what dont i need, what do i need etc.. shopping with a list, i did a no spend month and i saved up something stupid like 250 simply by not spending on things i didnt need.. I think we all need this from time to time. I'm selling off unwanted things at the moment. I definitely need to sell off some bits from the house soon. Could do with a little wardrobe clear out! !